Wow, what an incredible month this has been. 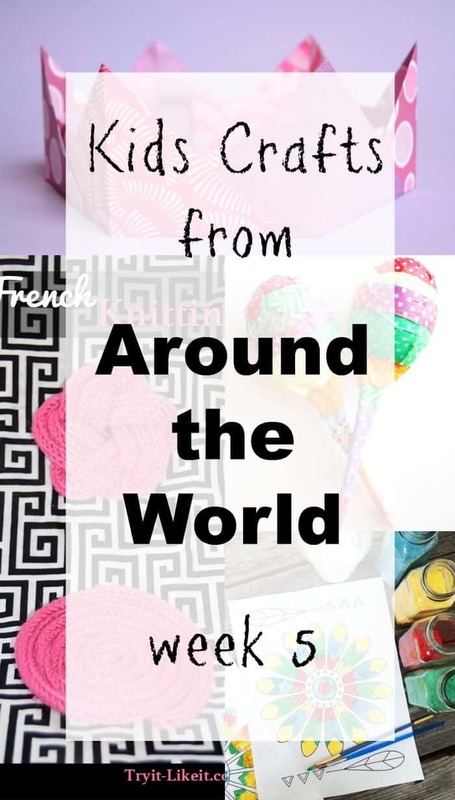 With my love of travel and seeing the world, it has been an absolute treat for me to host some incredibly talented bloggers sharing countries and traditions through kids crafts. 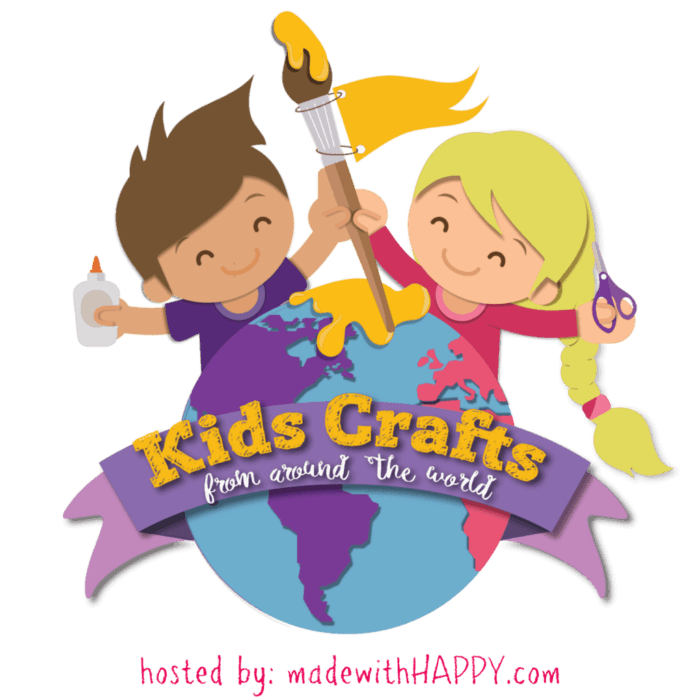 Here is another installment of Kids Crafts From Around the World-Week 5 and if you missed the first 4 weeks, please find them below. You can find a complete list of projects on our Kids Crafts from Around the World Post. 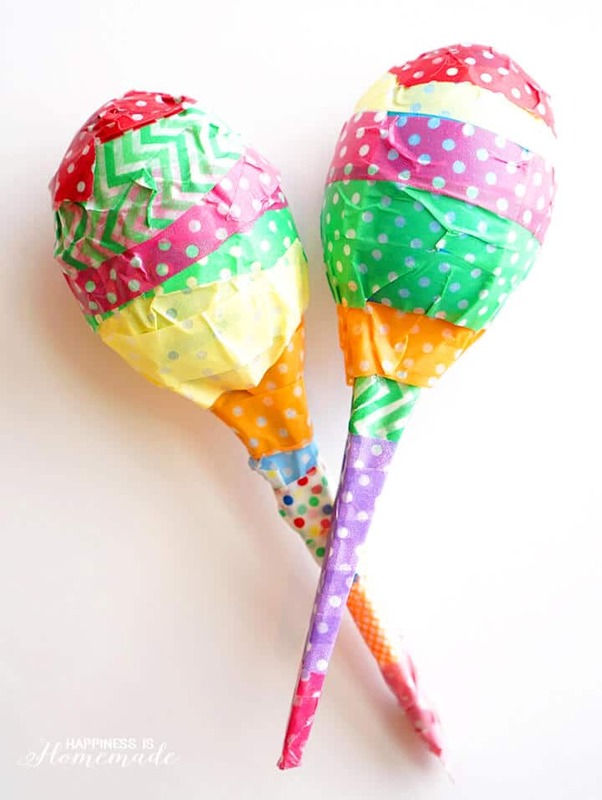 We’re in love with these Latin American inspired Maracas that Heidi from Happiness is Homemade made out of plastic eggs. 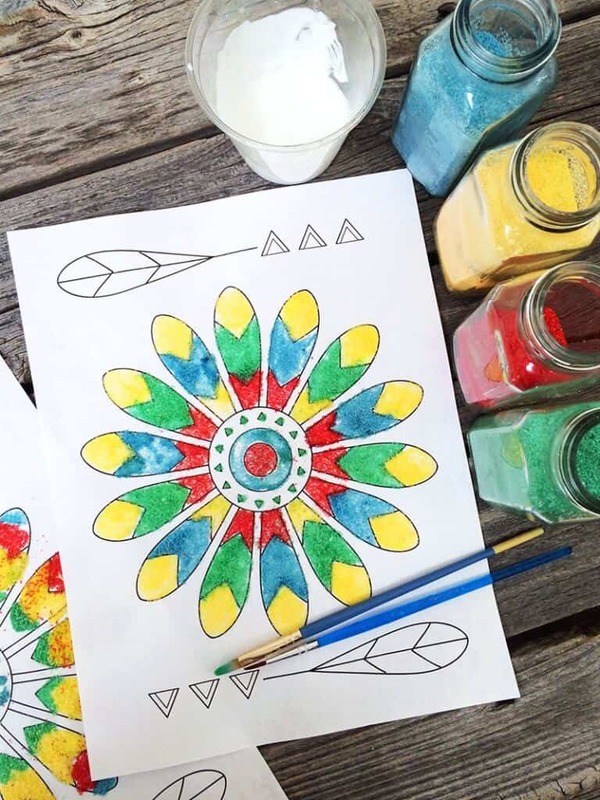 The talented Jen from 100 Directions is showing us some Native American inspired sand paint that is not only beautiful but fun for the whole family. 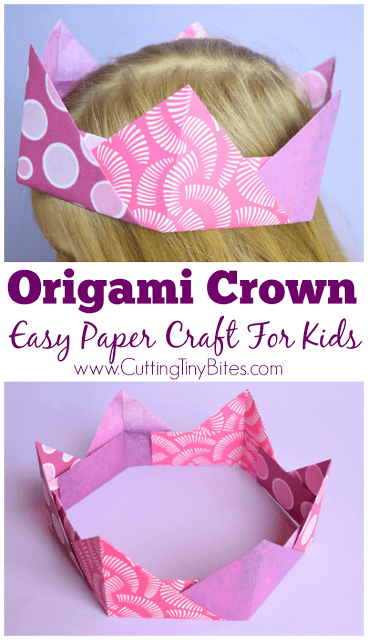 Ellen from Cutting Tiny Bites is showing us these great kid crowns through the traditional Japanese paper folding of origami. 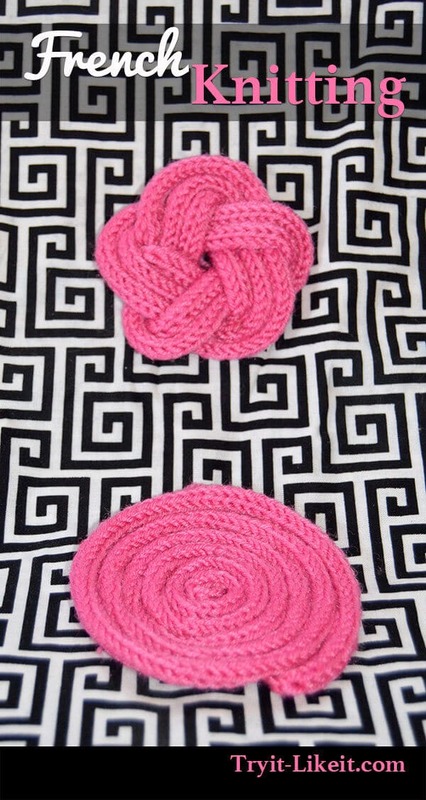 We’re loving getting the kids to try out Knitting DIY from our friend at Try It -Like It.